Double Kick Heroes is in the works for Switch, Headbang Club and Plug In Digital have revealed. The mixture of shoot’em up and rhythm gameplay will be on the eShop this summer. 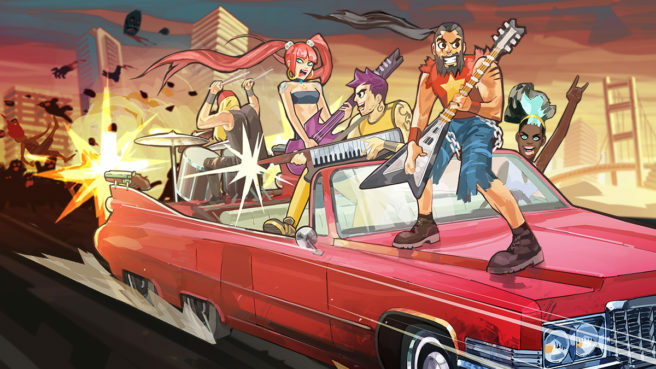 Merging face-melting heavy metal rhythm riffs, with a high-octane zombie crushing shoot ’em up, Double Kick Heroes is like no game you’ve ever seen before!